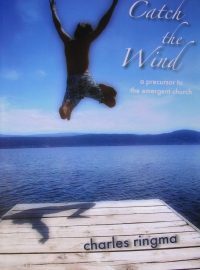 A confessional manifesto from a senior leader in the emerging church movement, A Generous Orthodoxy calls for a radical, Christ-centred orthodoxy of faith and practice in a missional, generous spirit. Brian McLaren argues for a post-liberal, post-conservative, post-protestant convergence that will stimulate lively interest and global conversation among thoughtful Christians from all traditions. 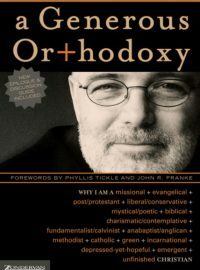 In a sweeping exploration of belief, author Brian McLaren takes us across the landscape of faith, envisioning an orthodoxy that aims for Jesus, is driven by love, and is defined by missional intent. A Generous Orthodoxy rediscovers the mysterious and compelling ways that Jesus can be embraced across the entire Christian horizon. 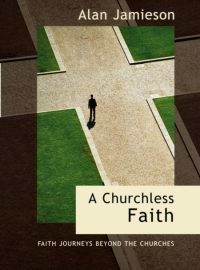 Rather than establishing what is and is not 'orthodox', McLaren walks through the many traditions of faith, bringing to the centre a way of life that draws us closer to Christ and to each other. Whether you find yourself inside, outside or somewhere on the fringe of Christianity, A Generous Orthodoxy draws you toward a way of living that looks beyond the 'us/them' paradigm to the blessed and ancient paradox of 'we'. The numbers of people attending church are declining. Churches are closing and the influence the church once had in society is waning. The natural response is to immediately look for solutions to the problems. However, finding appropriate solutions depends on a correct understanding of the problem. In 'At Home in Exile', Peter McDowell shows how the experience of exiles in the Old Testament can provide a way for the church to understand its current experience of marginalisation. The feelings associated with the three stages of the exile experience resonate with our current experience. The first stage is entering exile, and has associated feelings of shock and denial. The second stage, being in exile, has feelings of anger and depression. The third stage, departing from exile, is associated with acceptance and integration. Innovation and openness to new idea are all around us, but in the church there seems to be a way of thinking and behaving that has written change out of the agenda. As a result, many have left the church or, as Charles Ringma says, 'go to church out of habit or guilt, but are frustrated, alienated and don't participate in its life.' How can people be equipped to reverse this trend? How can they begin to be responsible for their own spiritual growth? What might the church of the future look like? How can churches be organised as if people matter? Can the experience of church be more like that of a family? These are the questions that Charles Ringma confronts in Catch the Wind. It doesn't offer a single 'model' for the church. But is does make a case for a more dynamic less structured and risk-taking approach that both builds people up and equips them for mission in the world. Have you ever felt that the very things that once inspired and nurtured your faith now seem lifeless and perhaps even frustrating? Christians often find their faith metamorphosing and do not know how to handle the troubling changes. 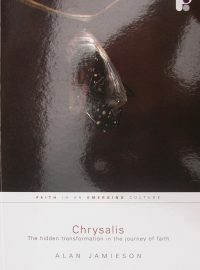 Using the life cycle of a butterfly as a metaphor Alan Jamieson helps readers to see that radical changes need not mean the death of personal faith. Instead he helps us to embrace them as part of a positive, Christian, Spirit-led journey with God. 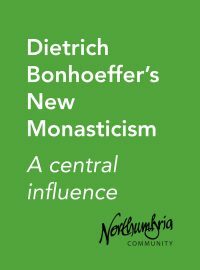 There is much talk today of 'new ways of being church' and 'new monastic spirituality'. 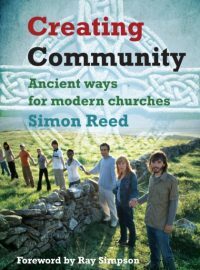 As Simon Reed explored the Celtic roots of the Christian faith, in community with others who drew inspiration from our spiritual ancestors in the British Isles, he came to realise that the third-millennium church has much in common with the first-millennium church and, more importantly, much to learn from it. In Creating Community, he introduces us to a new but at the same time very old way of being church which is based upon three core elements: A Way of Life, a network of Soul Friends, and a rhythm of prayer. 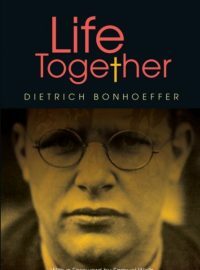 The book shows how the rediscovery of these elements by Christians today offers a vital key that opens up an ancient way for modern churches, one that not only helps to bring believers to lasting maturity but creates genuine and much-needed community in an increasingly fragmented world. Curation is a term usually used in the art world for the role of imagining and overseeing an exhibition or installation in a gallery or museum. However, the word is now being adopted in worship, since it affords a new and inventive way of thinking about how to put together a service, art experience or event. Rather than focusing on the role of presiding over liturgy or fronting a band, curation involves working off stage, negotiating between institutions and artists to create something brilliant. The hope is that moments of epiphany will be experienced as God is invited to ‘be’ and ‘breathe’ in the space, and as participants make connections with their own lives and stories. 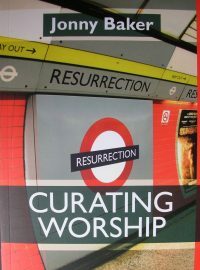 Curating Worship is in two parts. The first considers the kind of thinking, skills and disciplines involved in good curation. The second, which forms the main section of the book, consists of in-depth interviews. These tease out, from people who have curated amazing worship experiences around the world, the ideas and theories behind their approaches and the practical processes involved. The decline of the Church in the West means many Christian leaders are forced to taste a bittersweet draught of hopes fulfilled and deferred, liberally laced with failure and even shame. Our world seems so different to the joyful simplicity of the new Church of the New Testament. Where else in the Scriptures could we look to cope and hope?' George Lings investigates. 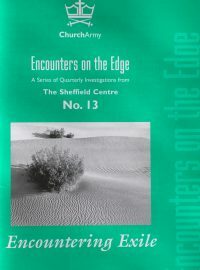 This booklet is part of the Encounters on the Edge series. A downloadable PDF version of the booklet is also available. John Arthur is looking for a church. Not literally of course, those are quite easy to spot usually. He is looking for "a reading" of church through a reading of Jesus. He wants to examine whether the Jesus we have in the church is, well, big enough really. Are the relationships we pursue, with God and each other, the authentic and costly ones Jesus exemplified, or diluted by our expectations and culture? Have we formed an edgy activism around Jesus' call to risk and journey, or a policy of endurance? Has the church fully accepted Jesus' trust of an incomplete kingdom? Gadfly is a conversational essay, part philosophy, part social observation and lots of unconventional exegesis posing questions about the purpose of Bible reading, the nature of Jesus and their implications for church identity. It challenges the dry readings of systematic theology that dominate so much of the public expression of the Bible in our churches. Gadfly wants to replace this with a call to risk-laden intimacy - the missing sacrament of the modern church. 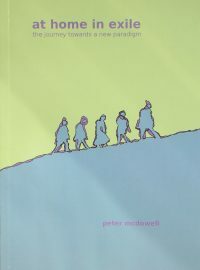 With a sensitivity to the Christian tradition and a rich understanding of postmodern thought, Peter Rollins argues that the movement known as 'emerging church' offers a singular, unprecedented message of transformation that has the potential to revolutionise the theological and moral architecture of the Western Church. 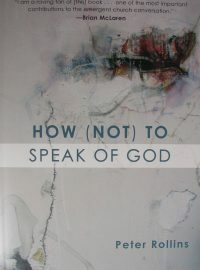 Keeping this in mind, How (Not) to Speak of God sets out to investigate the theory and praxis of this contemporary expression of faith via an exploration that is firmly anchored in the liturgical practice of the widely acclaimed post-secular project Ikon. In so doing, Peter Rollins not only offers a clear analysis of this embryonic movement, bu also provides key resources for those actively involved in developing these communities around the world.